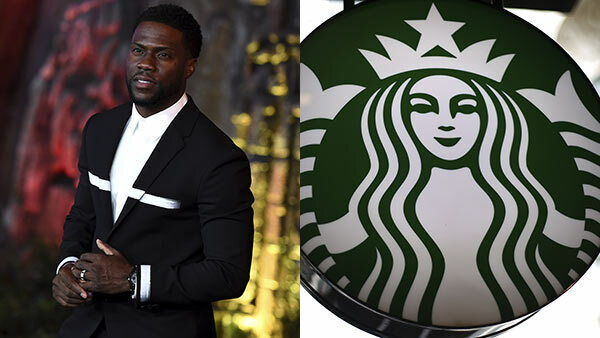 PHILADELPHIA (WPVI) -- Philadelphia comedian Kevin Hart has responded to the controversial incident that took place at a Center City Philadelphia Starbucks resulting in the arrests of two men. "Message to the @Starbucks in Philadelphia....Our city is shining bright like a diamond right now. Please make this situation right. I repeat please make this situation right!!!!!!! Once again MAKE THIS RIGHT"
Starbucks, police, lawyer respond to arrests. Bob Brooks reports during Action News Mornings on April 15, 2018. In a follow-up tweet, Hart also questioned why the men were arrested. 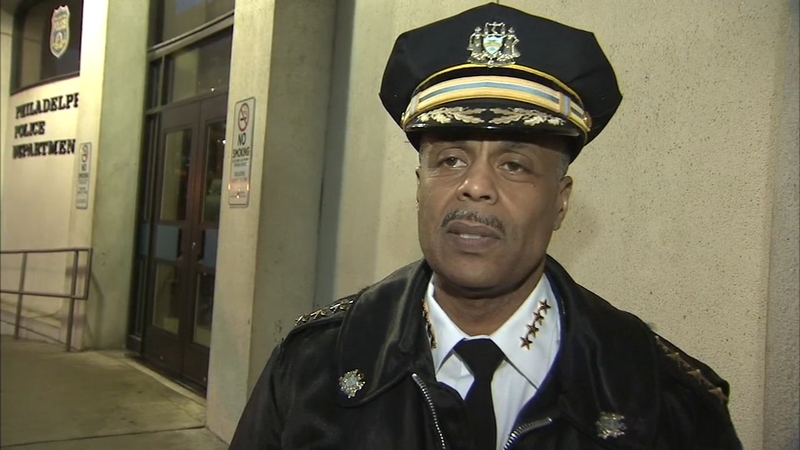 Philadelphia Police Commissioner Richard Ross says the officer involved the controversial Starbucks incident did not want to make the arrest. "@Starbucks in Philadelphia I have watched the video and do not see these to [sic] young men doing anything wrong....Unless there is footage that shows otherwise you need to do what's right and handle the manager that was on duty accordingly," Hart tweeted. @Starbucks in Philadelphia I have watched the video and do not see these to young men doing anything wrong....Unless there is footage that shows otherwise you need to do what's right and handle the manager that was on duty accordingly. Hart added that this is not a boycott of Starbucks. "Let's make one thing very clear....This is not a boycott @Starbucks situation....This is horrible management. The manager on duty was wrong. It's that simple...That's who needs to take responsibility for this wrong doing," Hart tweeted. Let's make one thing very clear....This is not a boycott @Starbucks situation....This is horrible management. The manager on duty was wrong. It's that simple...That's who needs to take responsibility for this wrong doing. Attorney Lauren Wimmer, who represents the two men, told Action News her clients were innocently waiting for a third person to conduct a business meeting. She said it was the manager at the Starbucks who called the police, and that her clients weren't doing anything wrong. Philadelphia Police Commissioner Richard Ross said the department's internal investigation revealed the officers who responded to the scene acted appropriately, and in accordance with police guidelines. Watch Philadelphia Police Commissioner Richard Ross's full statement on the incident at a Philadelphia Starbucks, delivered via Facebook on April 14, 2018. Later that night, Starbucks CEO Kevin Johnson issued another apology, saying the company is investigating and will make any necessary changes to their practices. He also says he hopes to meet the two men personally to offer a face-to-face apology. Starbucks apologizes after video of arrest in Philly store goes viral . Bob Brooks reports during Action News at 6 p.m. on April 14, 2018.